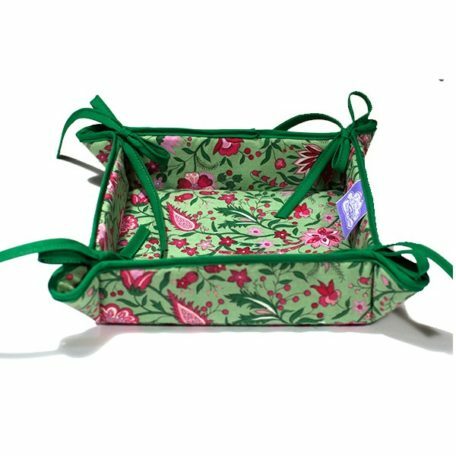 Yvette Green Bread Basket is approximately 12″x12″ when flat. 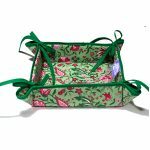 It makes a very elegant bread roll basket with a classic Provence design that will never be outdated. 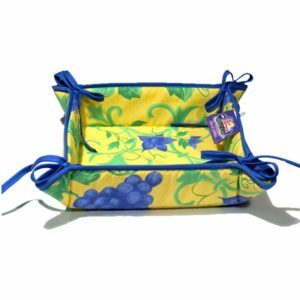 It can also be sued for fruits, appetizers, etc.. It will sure be a great compliment to your table for any occasions. 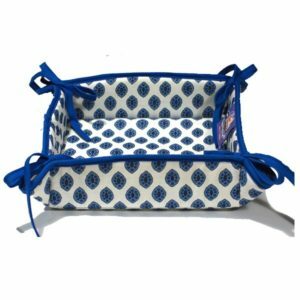 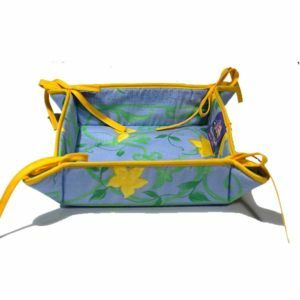 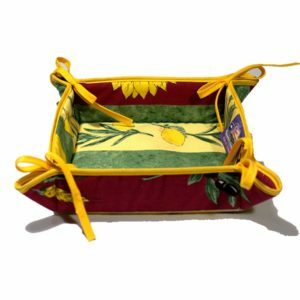 Our Provence Yvette Bread Basket is approximately 12″ x 12″ when flat, it can be used as a breadbasket for slices of bread or rolls, but also as a pastry basket, cookie basket, fruit basket, any kind of basket. 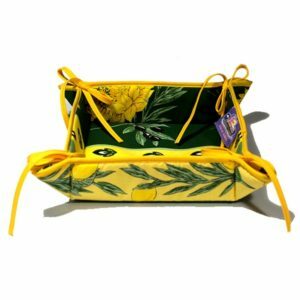 One of our favorite usage while traveling: take it with you everywhere as it is very light and lays flat in your suit case, built in in seconds when you arrive in you hotel room, put all your keys, cards, and change in it – this way you know always where everything is.